From Englesrufer, these Gold Plated Stud Earrings are a gorgeous addition to their recent collection. 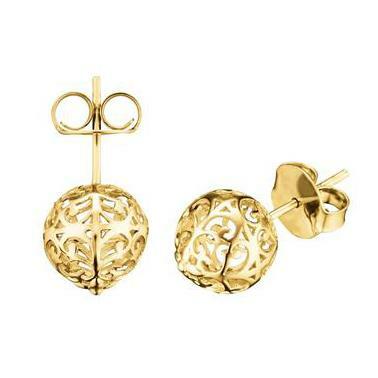 The Englesrufer Gold Plated stud Earrings are delicately crafted with an open work design. In a classic Gold colour, these stunning stud earrings are a perfect day time piece. These earrings are crafted in sterling silver and the surface is finished with fine rhodium. They are Yellow Gold plated.